Victoria Surman, 102 of Gaylord, passed away Saturday, February 2, 2019 at Aspen Ridge Retirement Village in Gaylord. Born on December 19, 1916, she was the daughter of Stanley and Cecelia (Gorney) Sikorski. She was a devout Catholic. 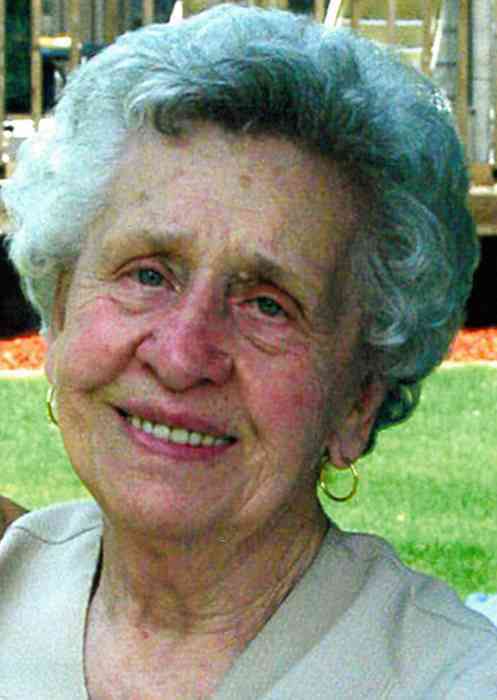 She loved cooking, baking and gardening and was very involved in activities at St. Isidore Catholic Church. Surviving are her 4 children, Gordon (Diana) Surman of Middleburg, FL, Marylee (Omer) Pugh of Mechanicsville, VA, James (Penny) Surman of Clinton Township and Sandi (Rudi) Edel of Gaylord; 12 grandchildren, 17 great-grandchildren and four great-great grandchildren. She was preceded in death by her husband of 50 years, Harold Surman, in 1991. Visitation will take place from 2 PM to 8 PM Sunday, February 17, 2019 at Hauss - Modetz Funeral Home on Romeo Plank Road in Macomb. A Mass of Christian burial will take place at 10:00 AM, Monday, February 18, 2019 at St. Isidore Church on 23 Mile Road with visitation at 9:30 AM. A luncheon will immediately follow Mass. Burial will be at 1:30 PM at Resurrection Cemetery in Clinton Township where she will be laid to rest next to her husband. In lieu of flowers, memorial contributions may be made to the Otsego County Food Pantry, 116 East 5th Street, Gaylord MI 49735.